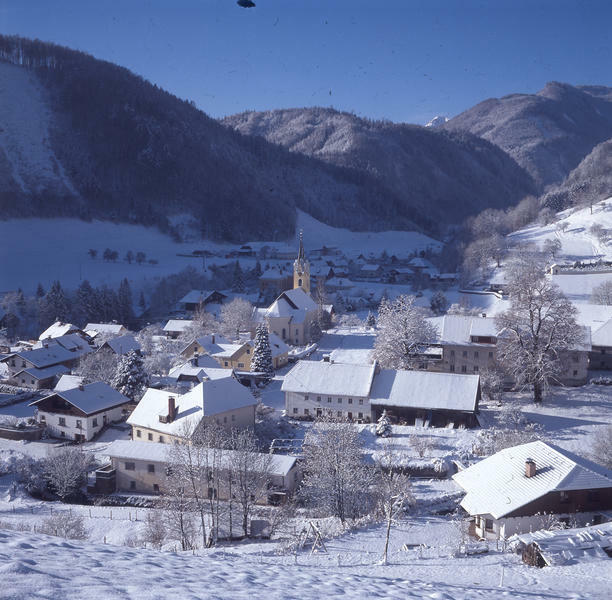 Klaus is situated at the onset of the Pyhrn-Priel region and incorporates the two villages of Steyrling and Kniewas. 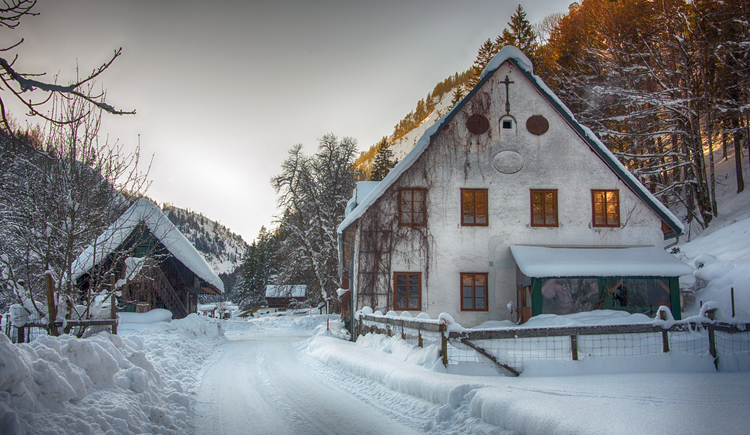 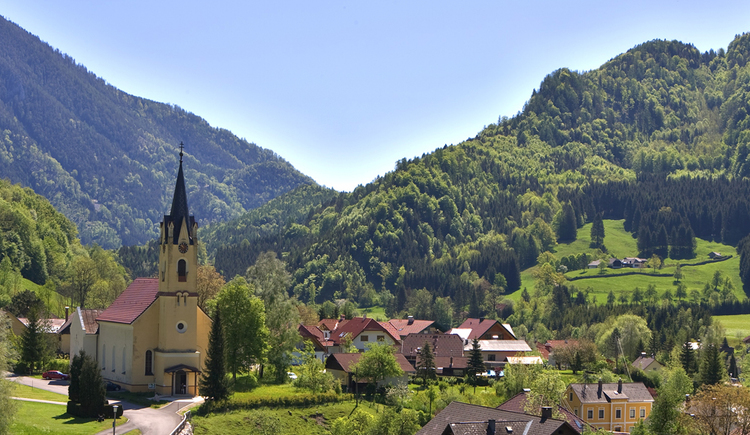 Only a few kilometres from the highway, yet far off the beaten track – enjoy a relaxing stay in Klaus. 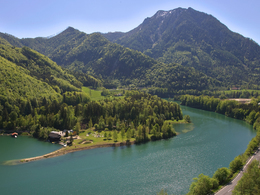 The romantic Klauser reservoir is a popular destination throughout the year. 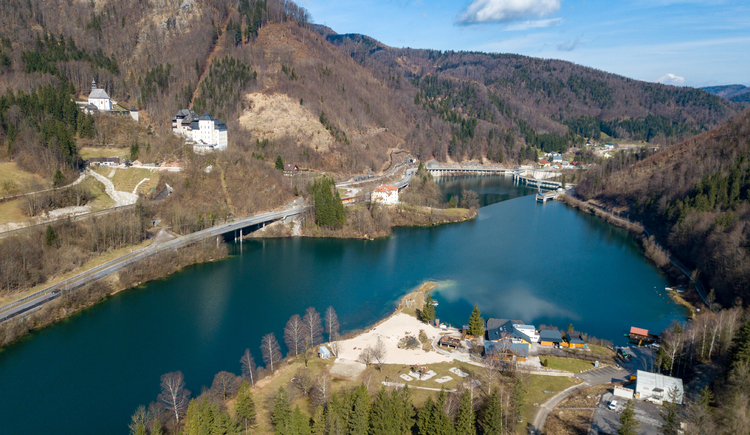 During summer you can enjoy boat or kajak trips along grand canyons, bungee-jumping off the reservoir wall for the more adventurous and fishing at the reservoir for quieter moments. 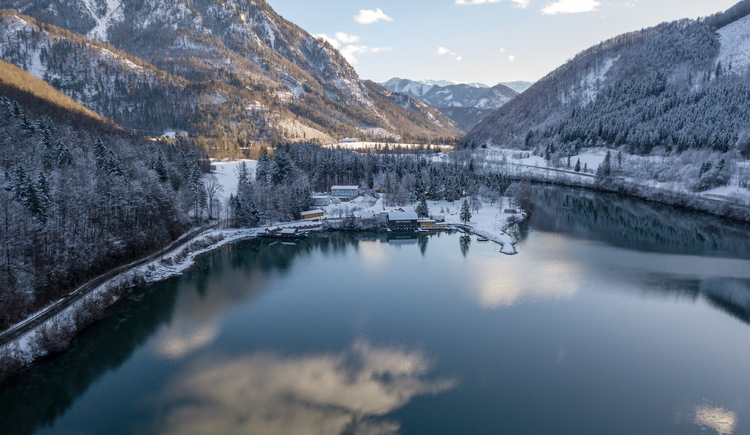 During winter the frozen lake is a popular ice curling destination. 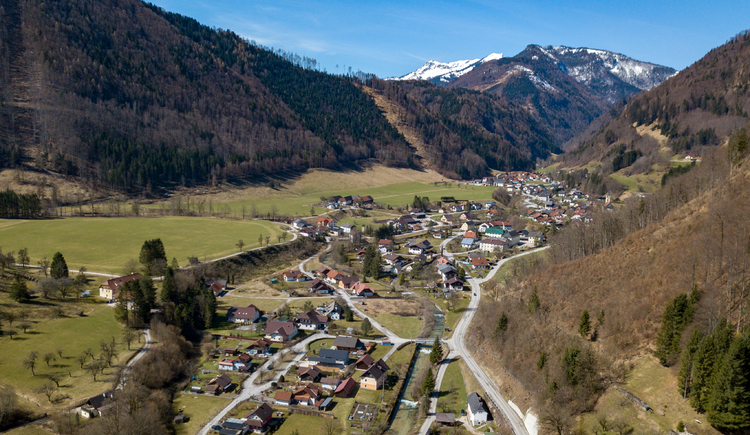 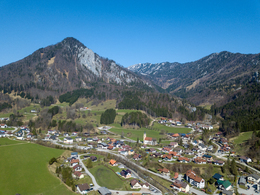 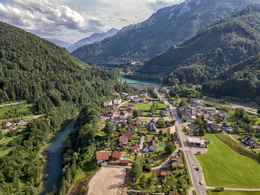 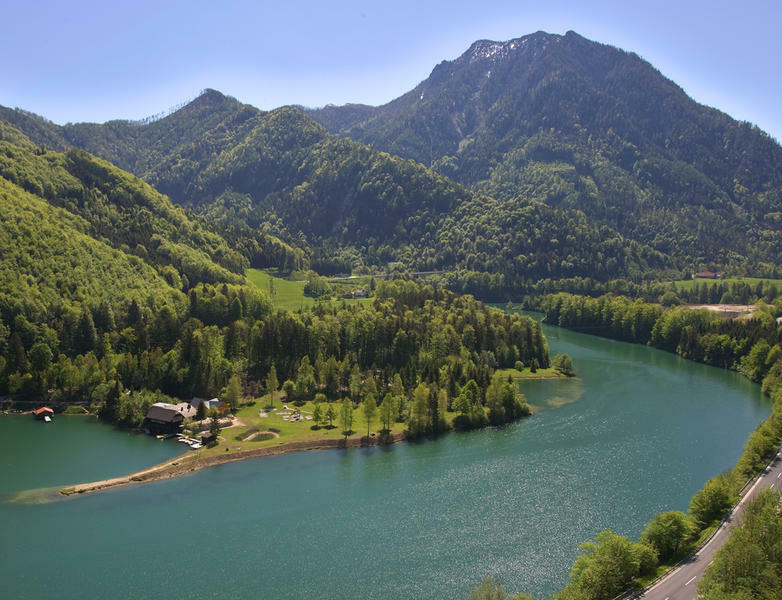 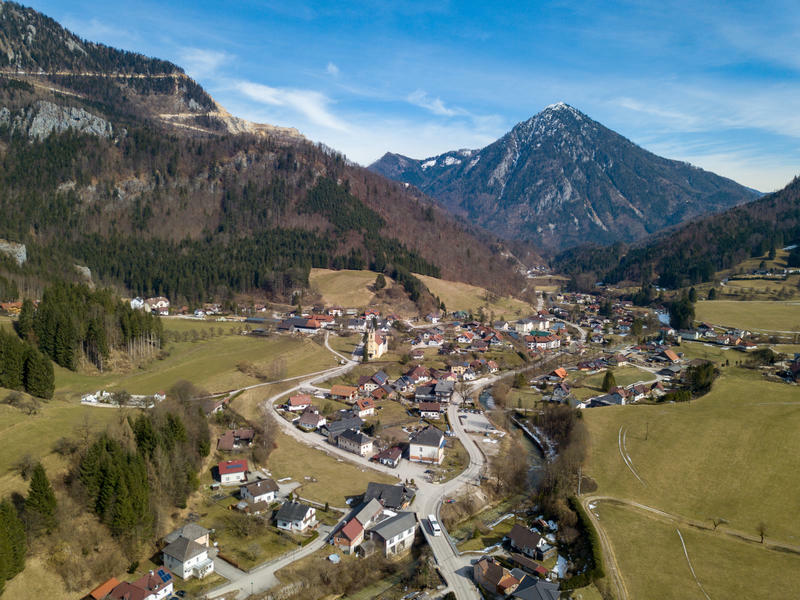 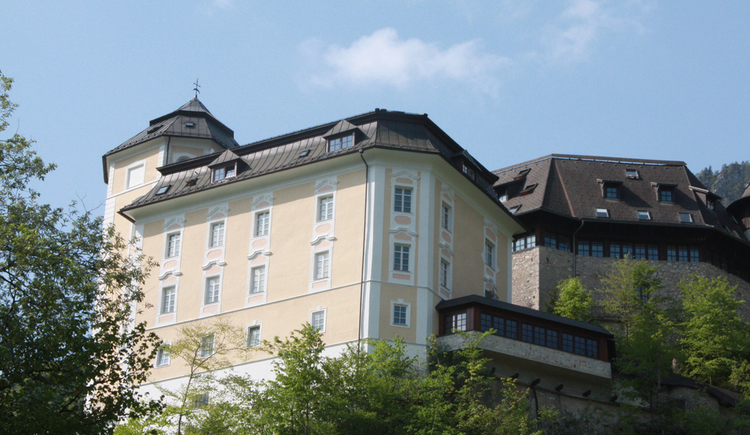 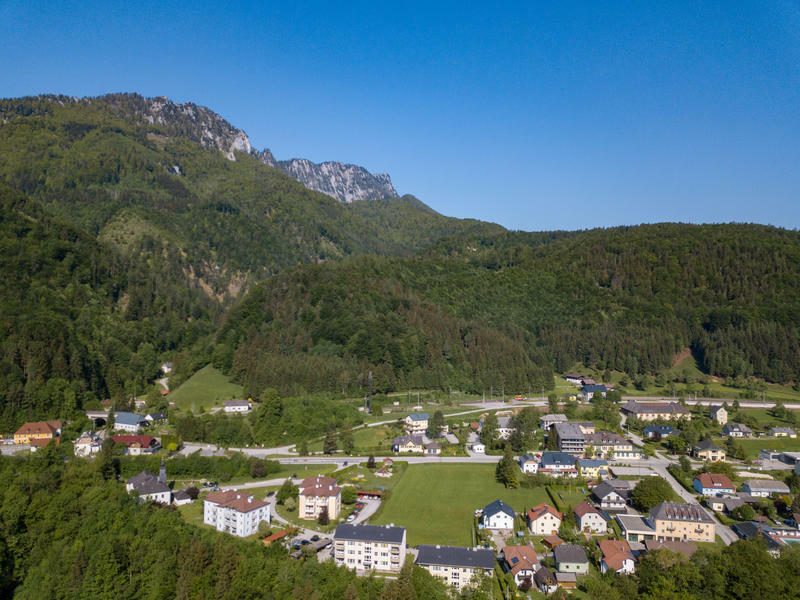 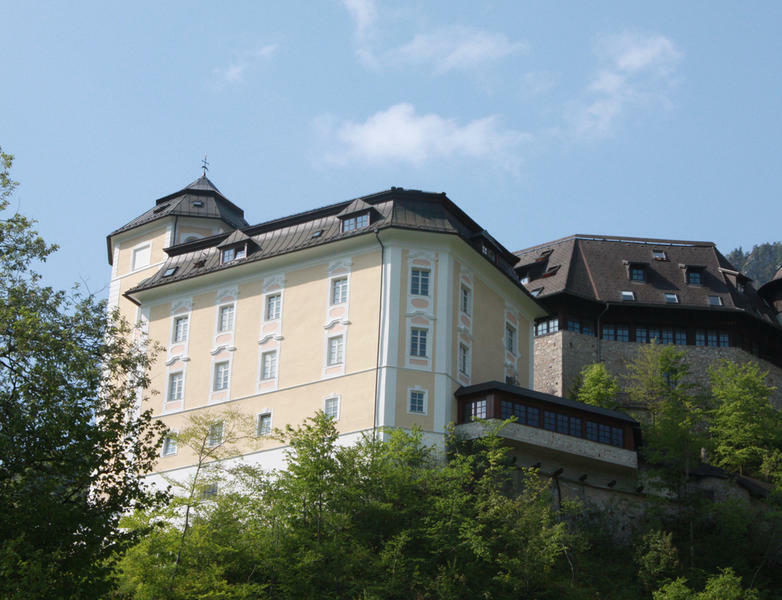 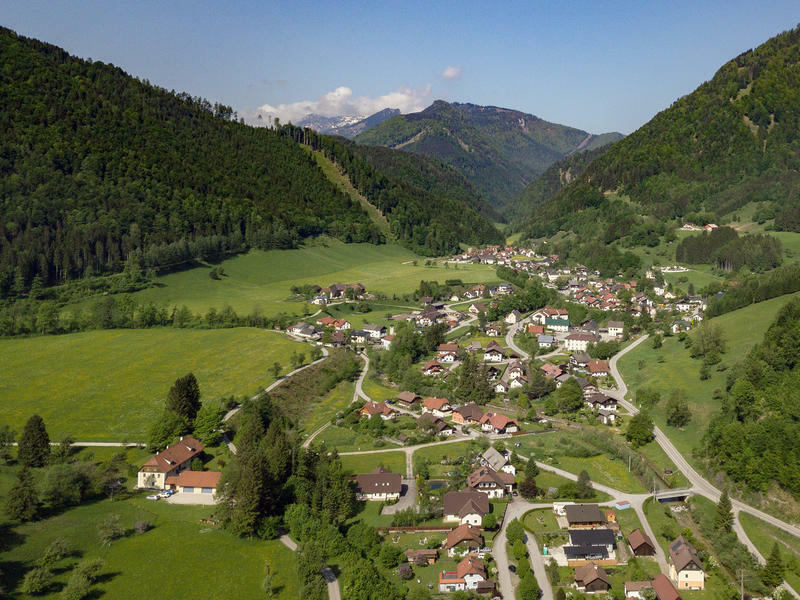 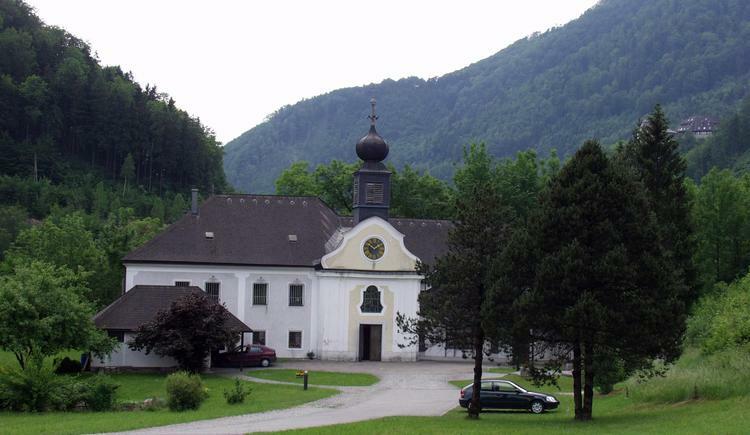 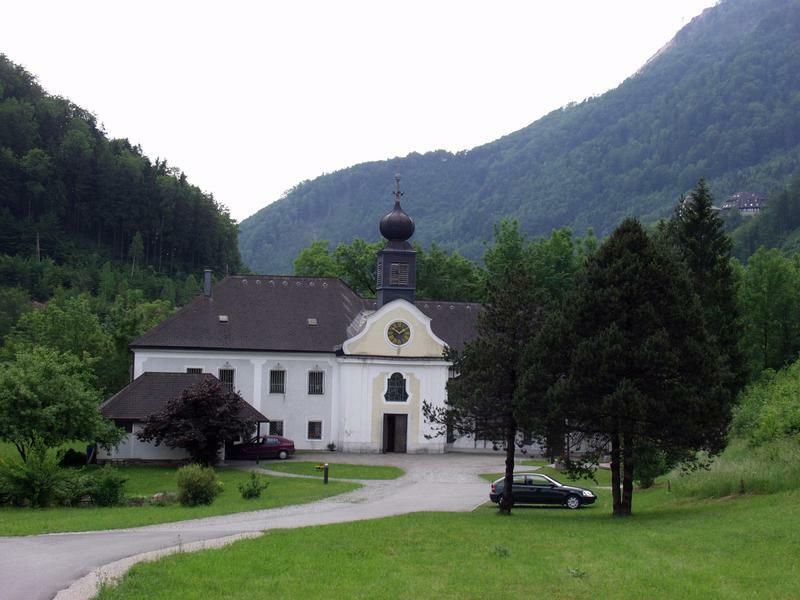 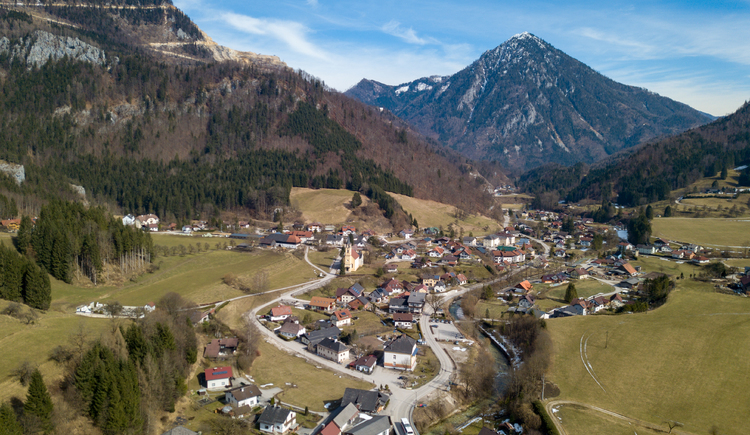 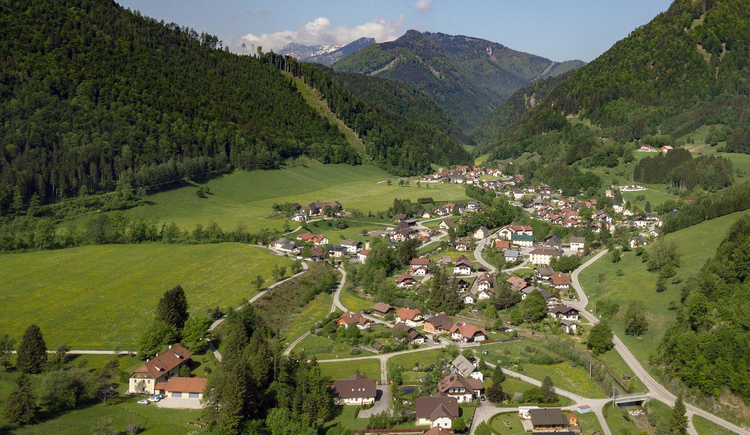 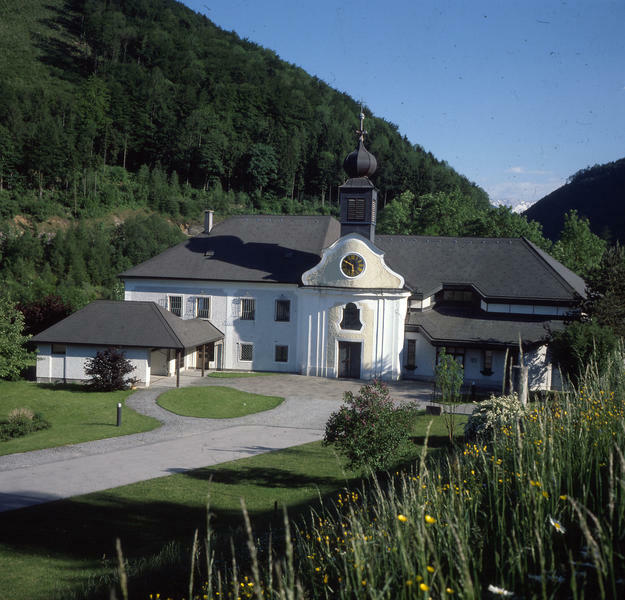 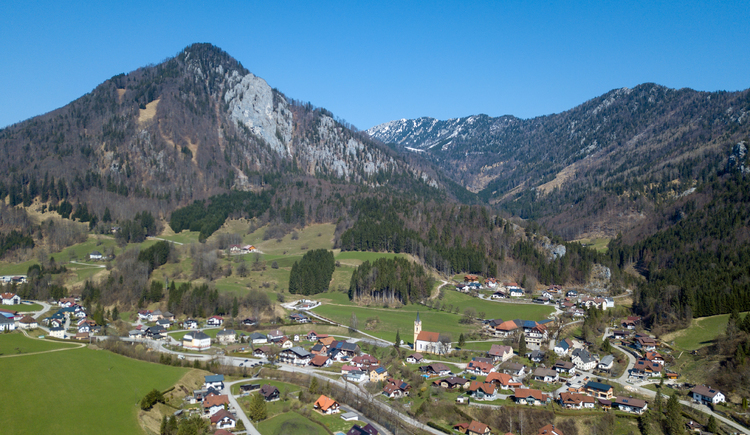 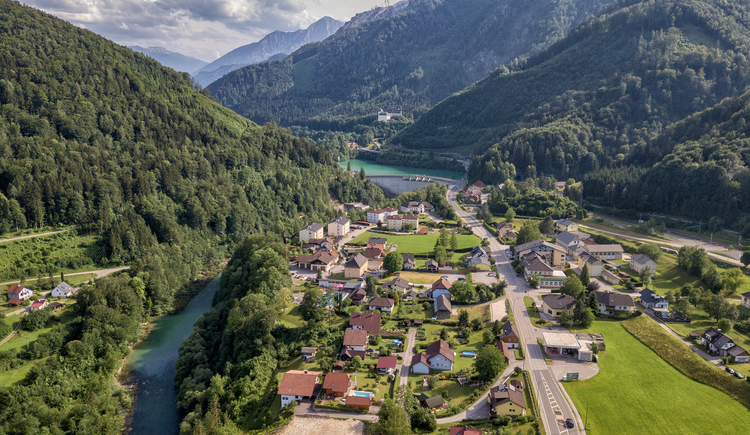 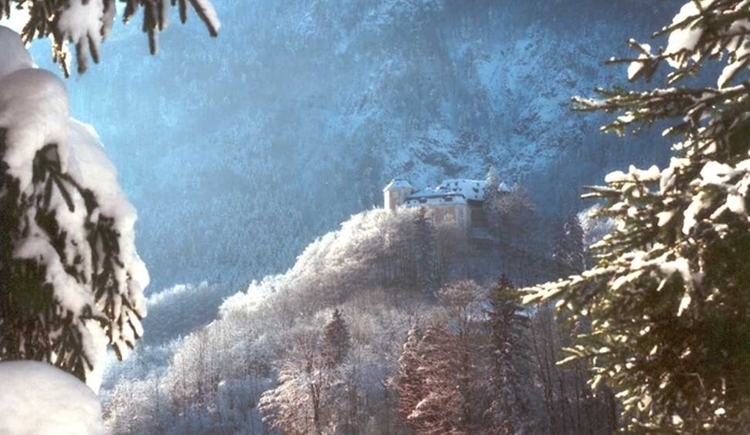 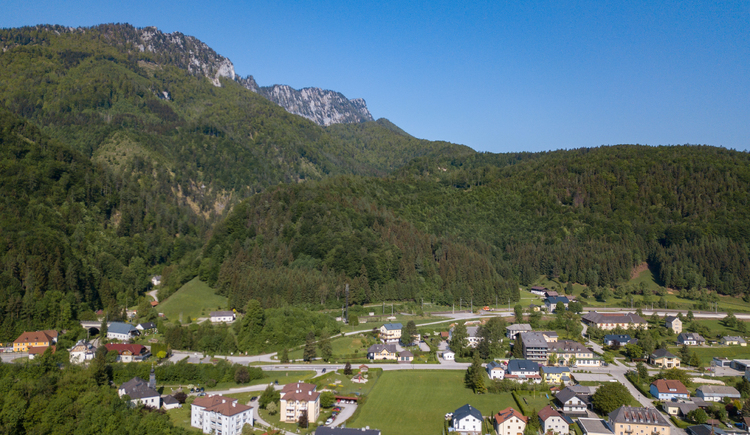 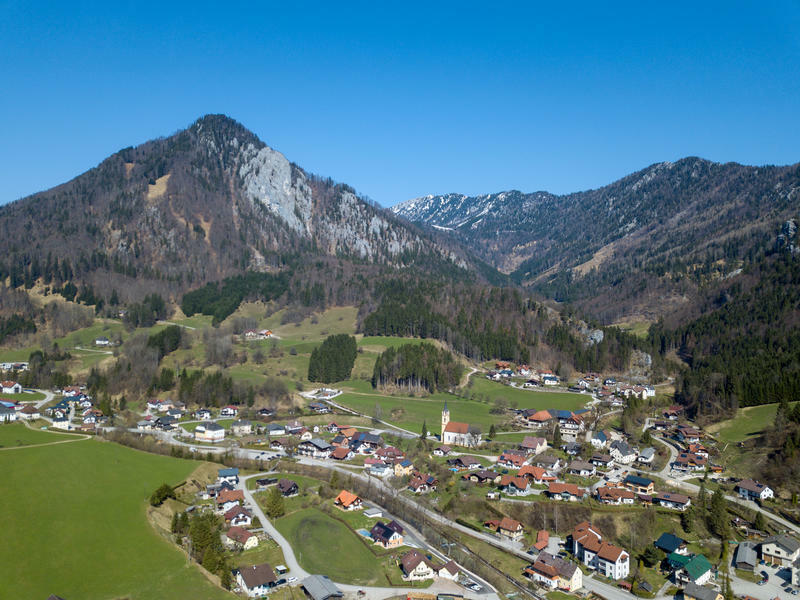 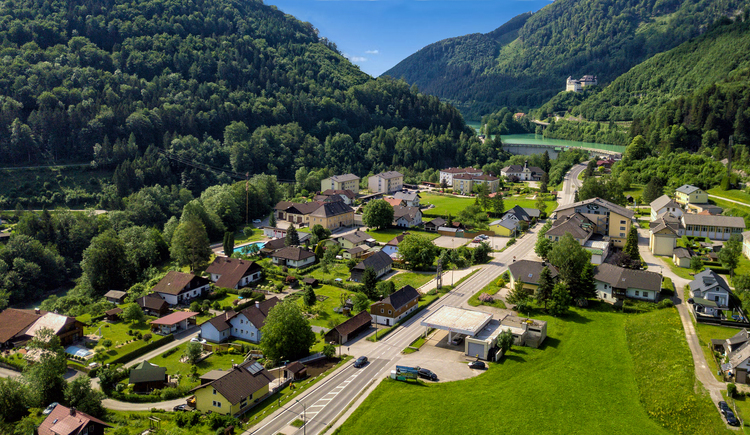 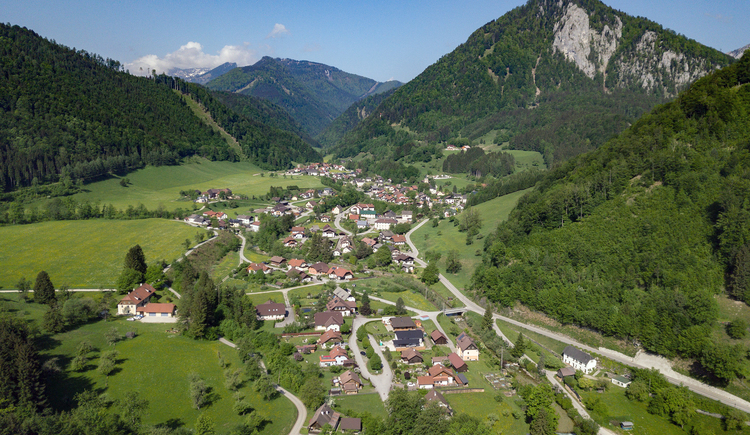 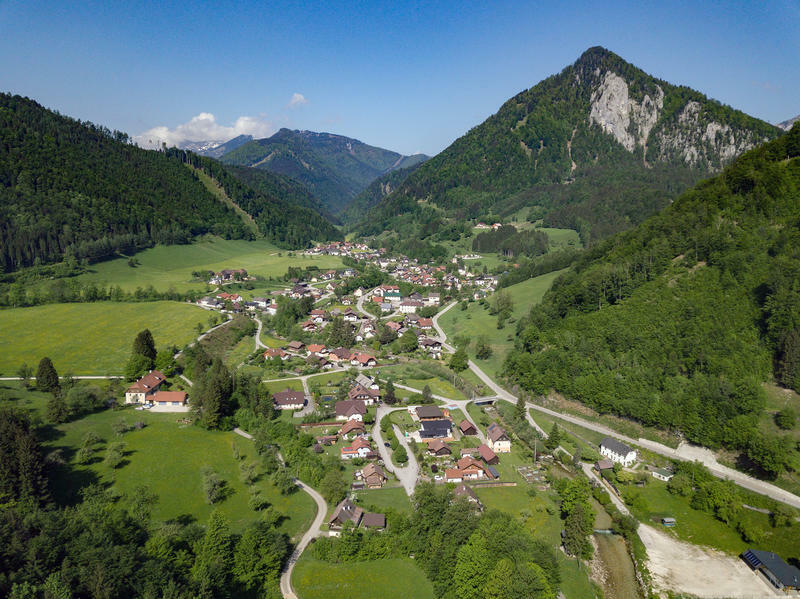 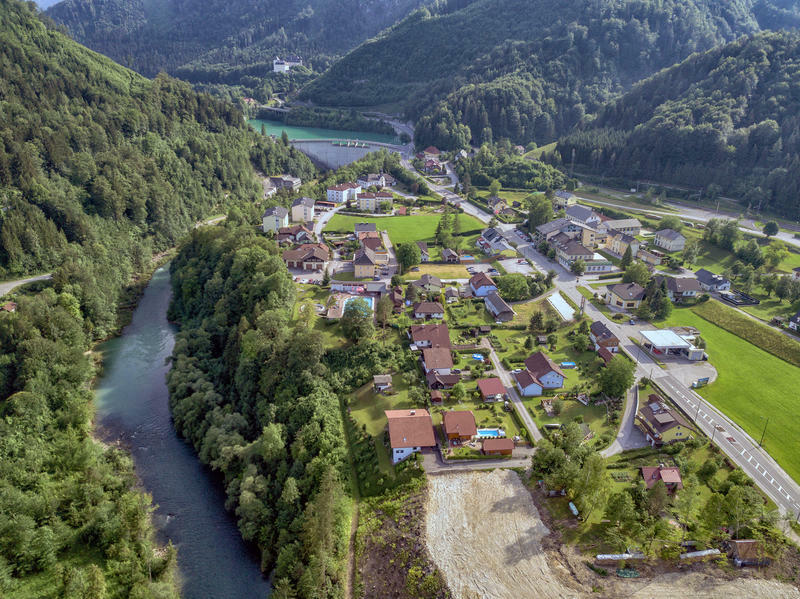 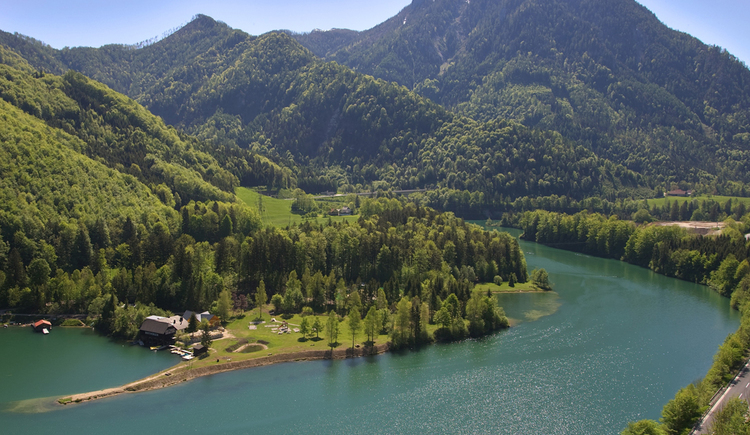 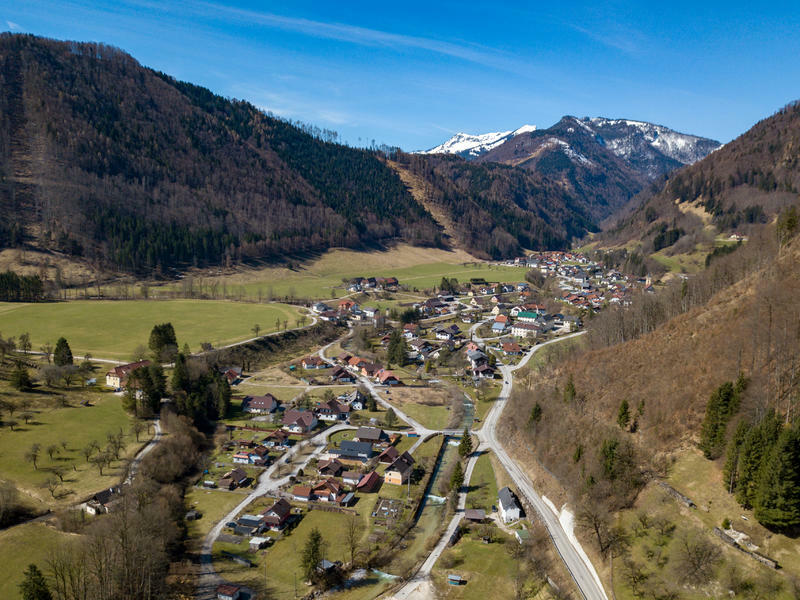 The Austrian Empress Sissi enjoyed hiking through the romantic Brunnental valley in Steyrling. 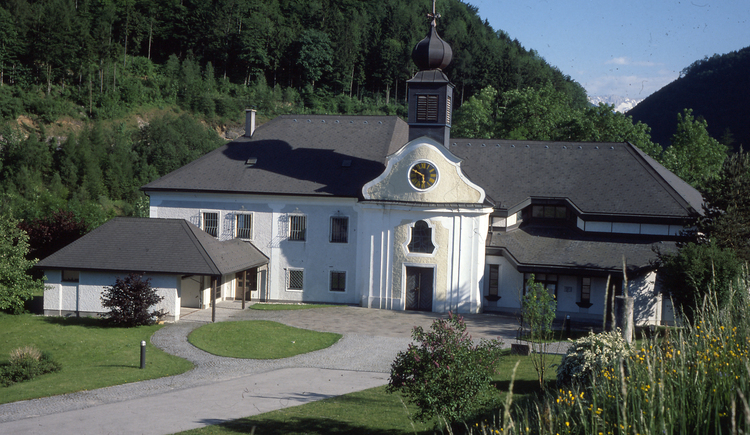 Still today the areas surrounding the mansions belonging to the families of Count Schaumburg-Lippe are a well known secret amongst hikers. 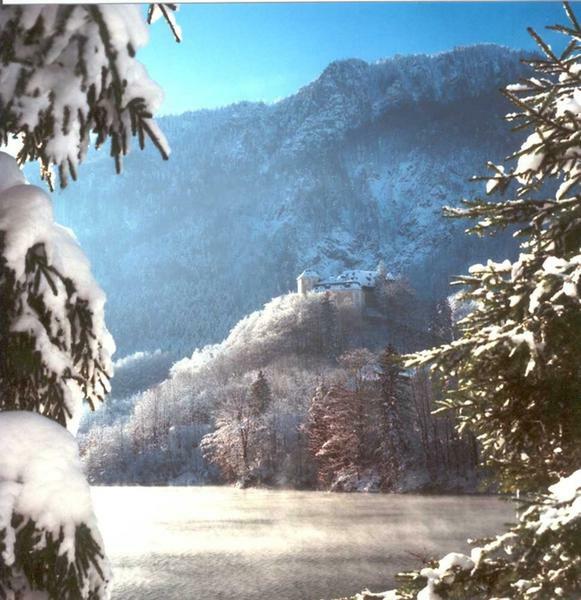 During the winter months the cross country trails lead you through the romantic scenery. 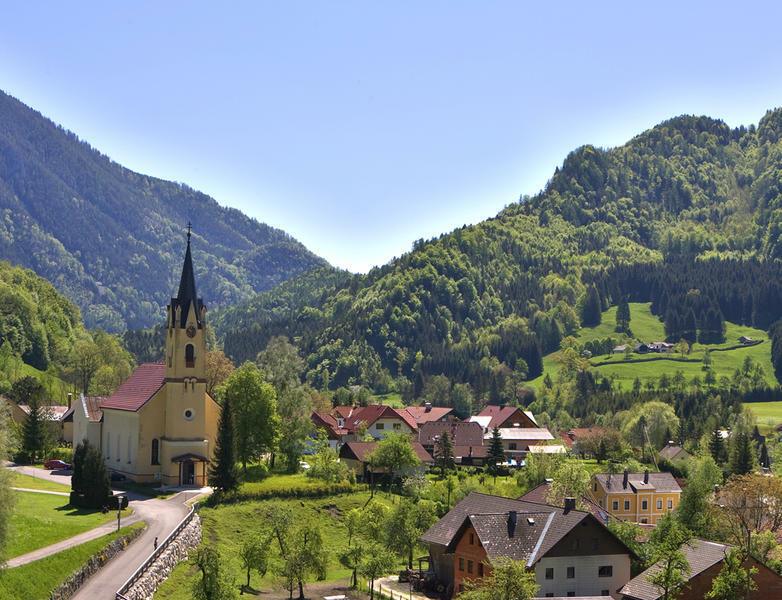 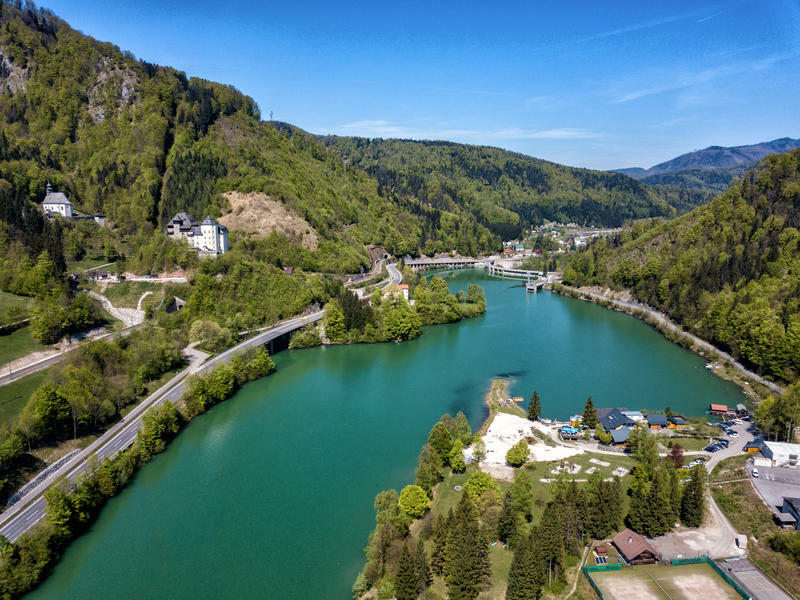 The music summer of Klaus is an absolute cultural highlight with offers ranging from classical concerts at candle light in the mountain church of Klaus to modern performances at the trendy Lokschuppm Klaus with well known local and international musicians. 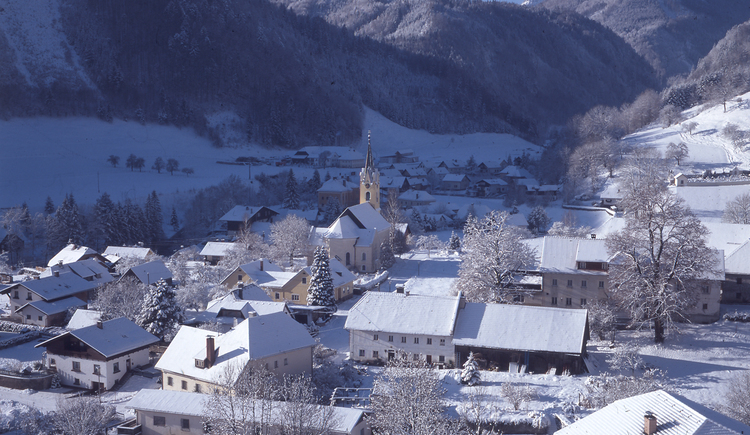 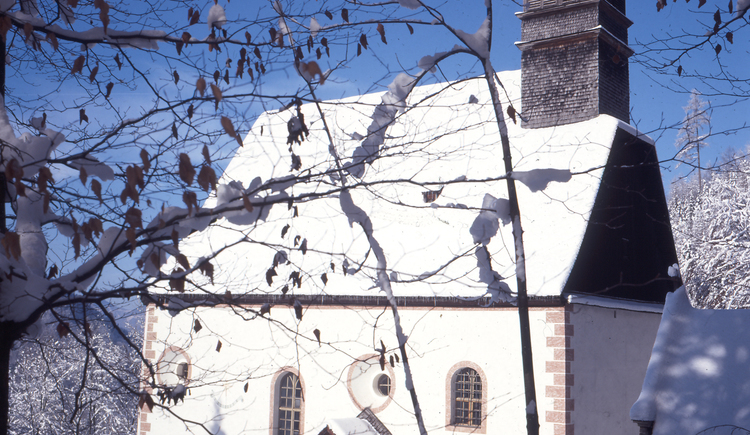 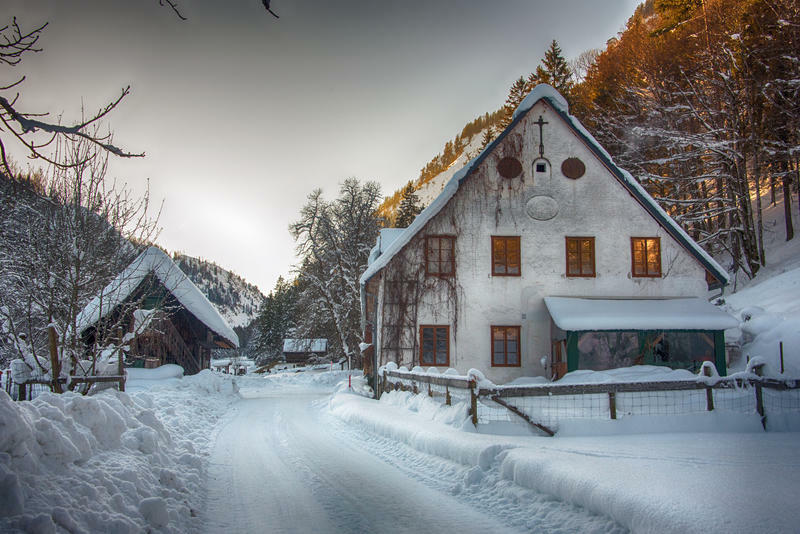 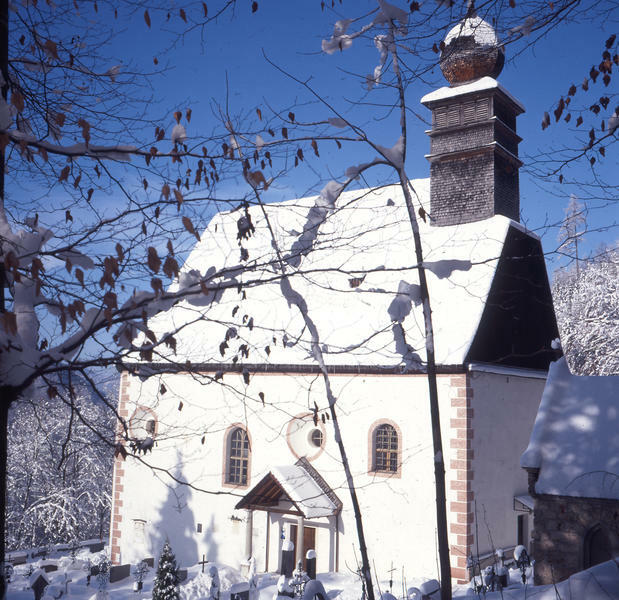 Enjoy fun filled hours during winter with a traditional game of ice curling in Klaus or Steyrling. 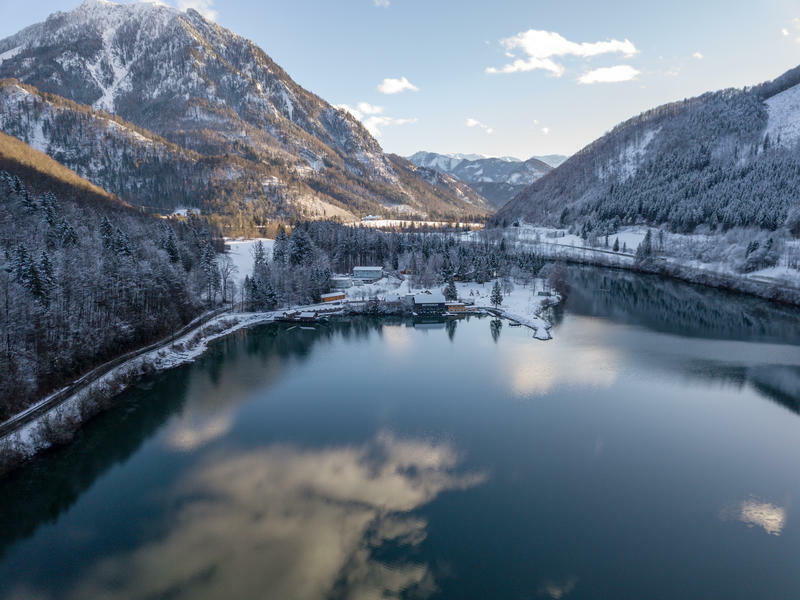 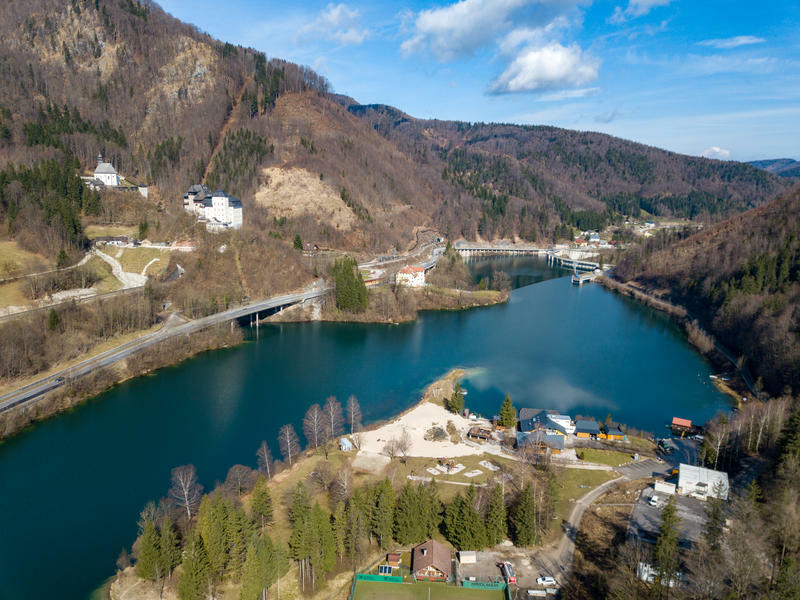 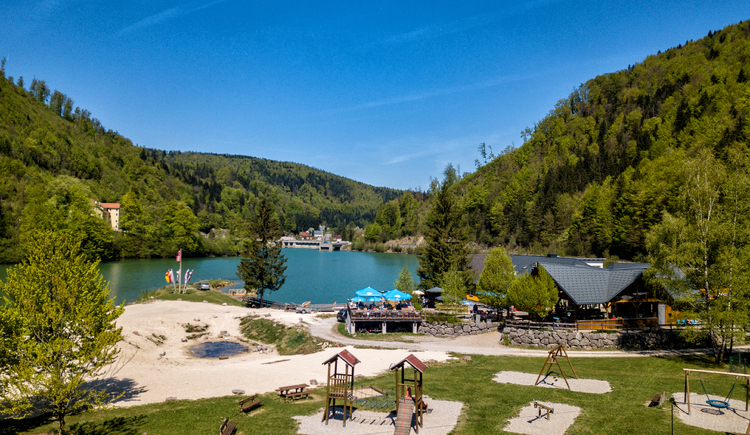 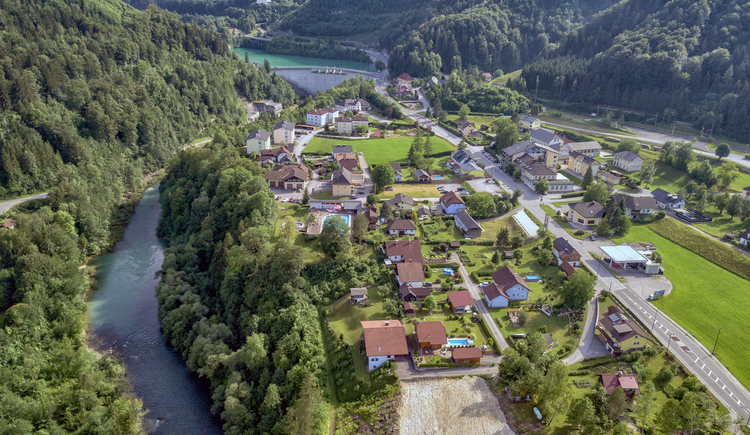 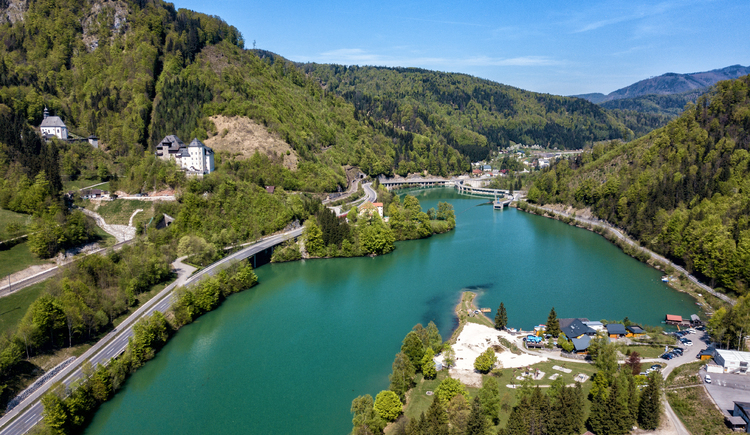 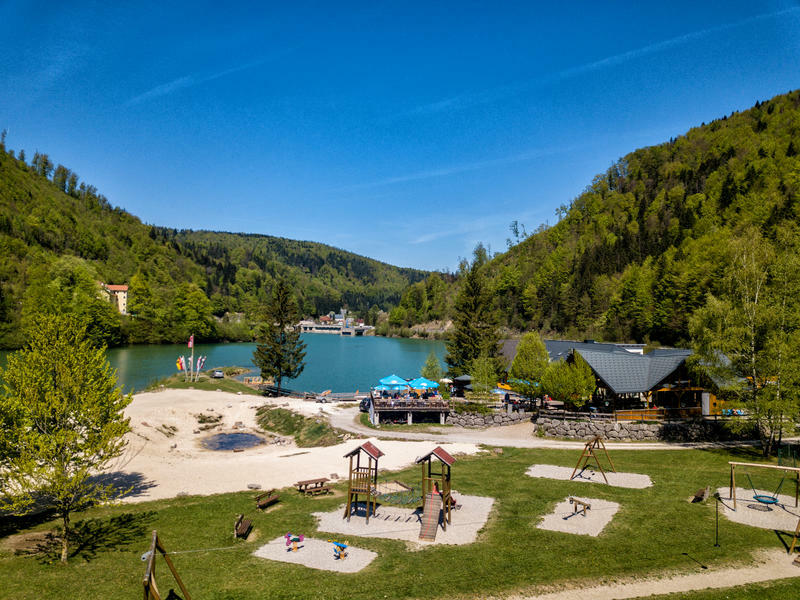 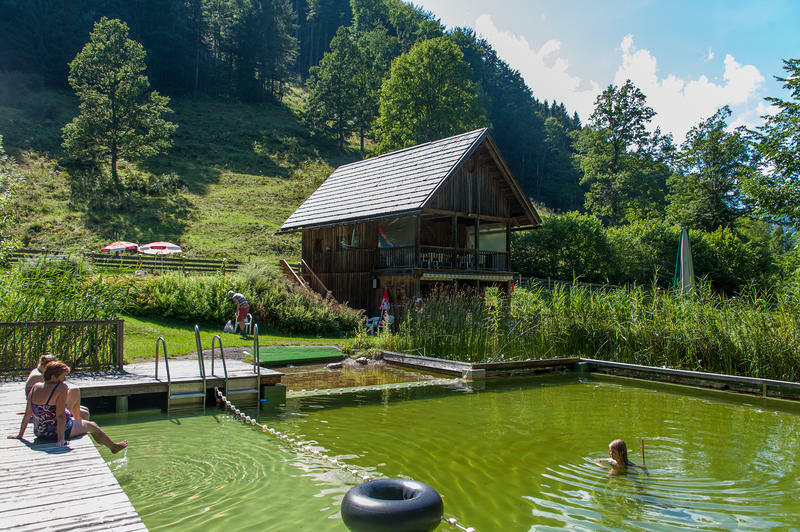 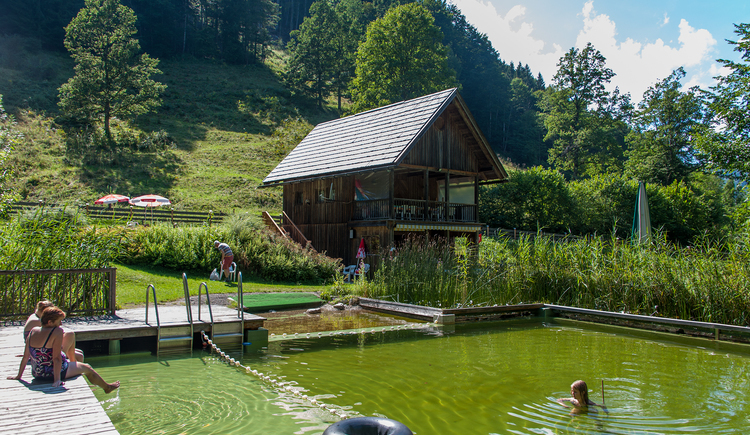 Both the reservoir in Klaus and the track at the Klausner inn in Steyrling are popular venues.